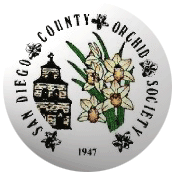 The San Diego County Orchid Society Conservation Committee was established to support projects that contribute to the conservation of orchids and orchid habitat. Since 1991, the San Diego County Orchid Society has awarded over $200,000 to projects in 22 different countries. In 2004, the society's accomplishments in support of orchid conservation were recognized with the prestigious Conservation Award from the American Orchid Society. What is the San Diego County Orchid Society doing to promote orchid conservation? How can you help? Please click the button below if you would like to make a contribution to our conservation efforts. Thank you!